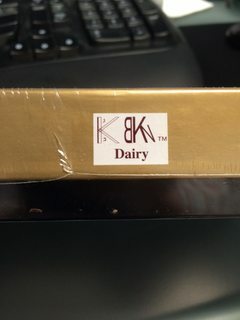 It was on a box of chocolates from this company - http://www.hauserchocolates.com. Kashrut.com lists that symbol as belonging to Rabbi Mordechai Kaplinsky, in Brooklyn, NY. See there for contact information. Not the answer you're looking for? Browse other questions tagged kashrut-kosher symbols-symbology organizations . What other work can a mashgiach do in a kosher restaurant today? Is this “Crown PL” a kosher symbol?